Mica, Talc, Ffinum Liquidum, Dimethicone, Silica, Titanium Dioxide, Yellow Iron Oxide & Black Iron Oxide. 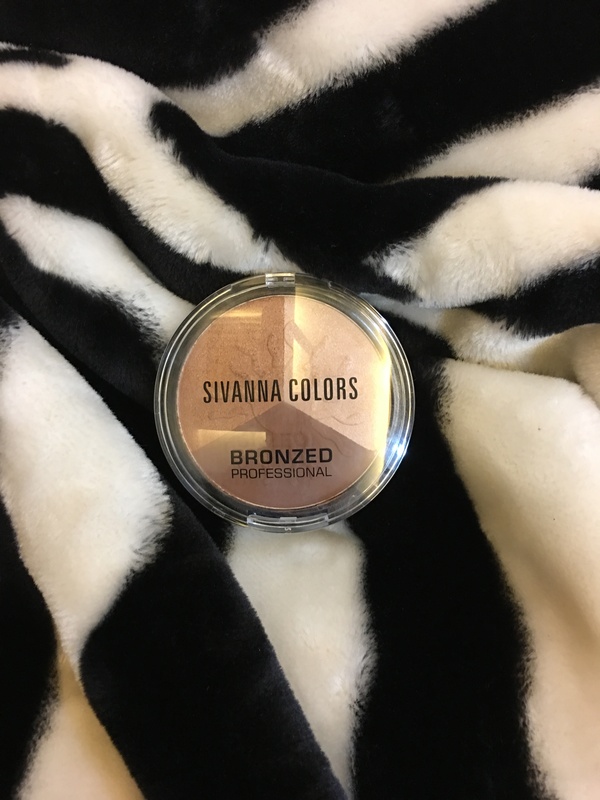 Sivanna Colors Bronzed Professional (Rs 450/- for 17 gms) is a product that suits all types of skin tones and can be used for contouring, bronzing and highlighting. 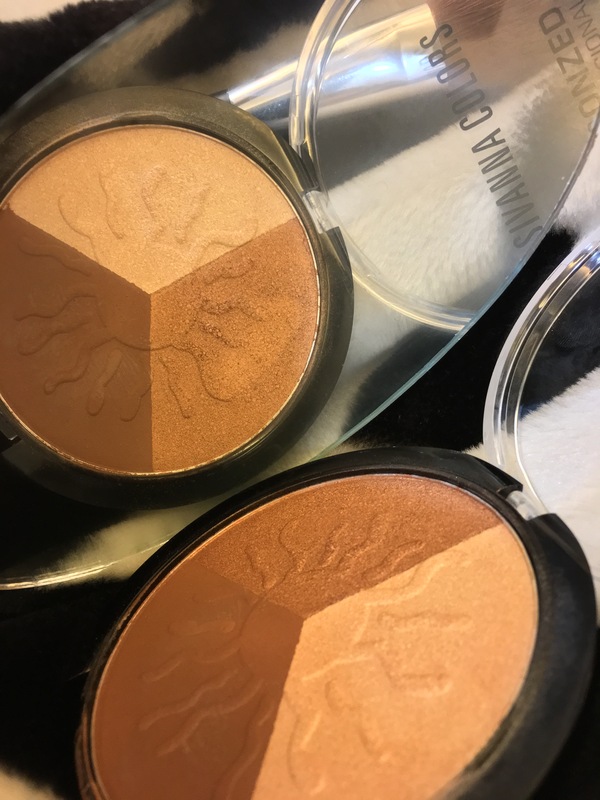 I use the darker brown shade for contouring and as a cut-crease eye shadow shade, sparkly pearly champagne shade as a blush or even as an eye shadow and the creamy sparkly shade as a highlighter on the high planes of my face. The color payoff is good and the consistency is a cross between creamy and powdery. I would have liked the sparkles to be broken up a bit, without being too in your face. The warm tone of brown color bronzes my face beautifully. The payoff is not very heavy and is a good product for beginners. Personally, for me, I use this product on an everyday basis as it is travel-friendly and mess-free. 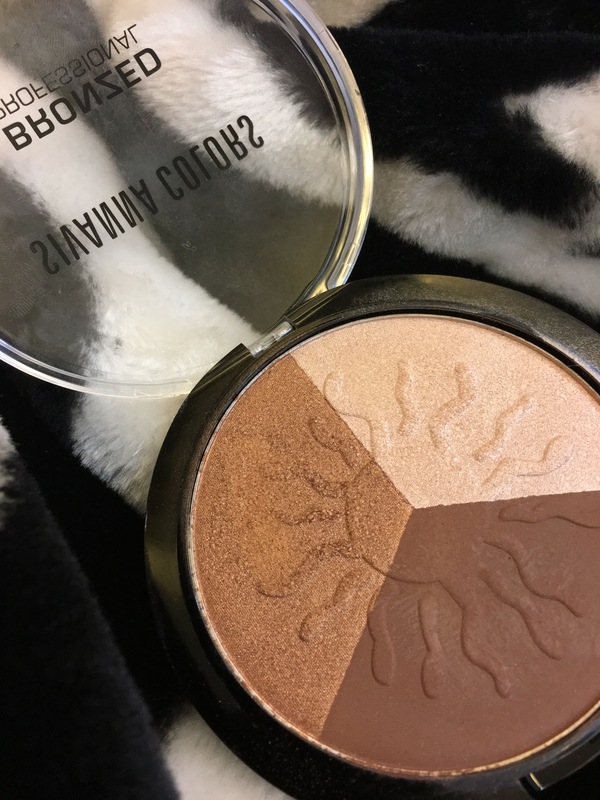 But yes, for ladies who are into proper contouring and highlighting, this product might not cut it out. But having said that, all the shades/textures glide smoothly giving a non-choppy, non-patchy look. Always make sure to use this product with a light hand as a lot of product tends to come on the brush. Also, blend the product well for a seamless look. The product is buildable and blend-able and does not bleed. In fact, the more it sits on your face, the better it looks. 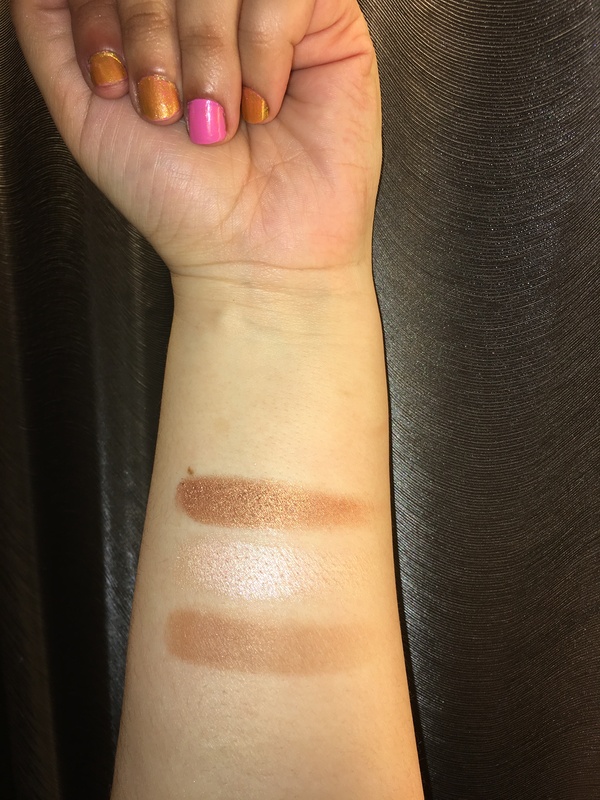 The pigmentation, luminosity and coverage is decent. The golden blush shade has large particles of sparkle, which not many people might be comfortable with. Swirl a little bit of product on a fluffy blush brush and apply to the contour in the hollows of your cheeks, blush on the cheeks and highlighter on the high planes of the face – down the bridge of your nose, brow bone and your cheek bones.